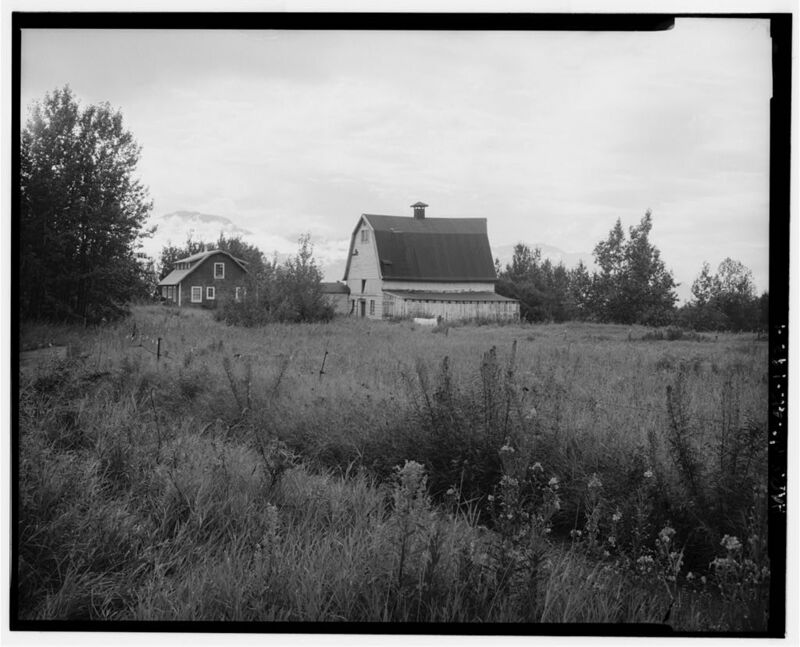 The barn in the foreground is the Otto Peterson barn, the one in the center of the photo would be the Archer barn. 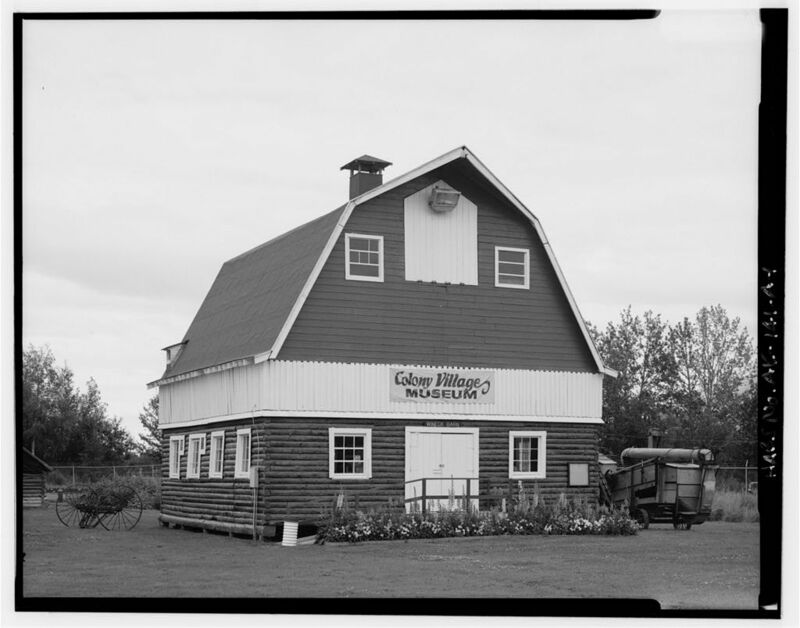 The Parks barn was just out of the photo on the left side. 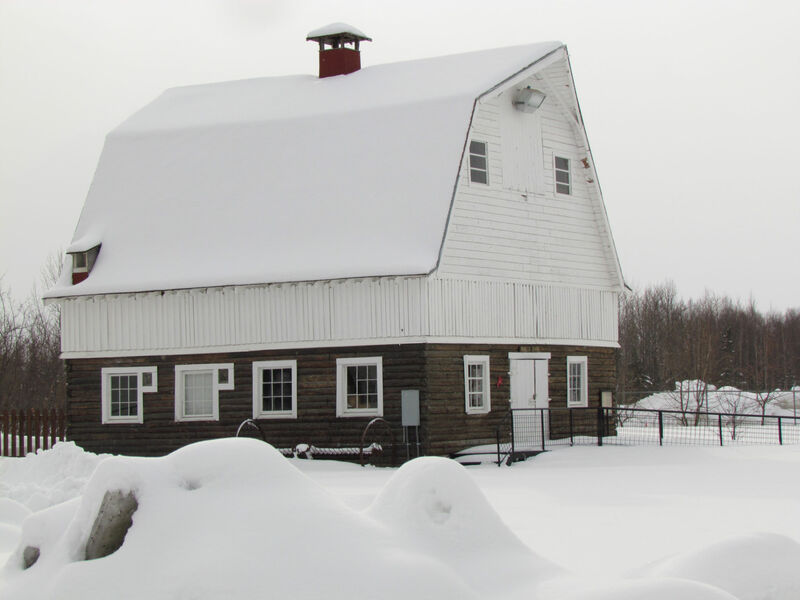 Parks/Archer barn. 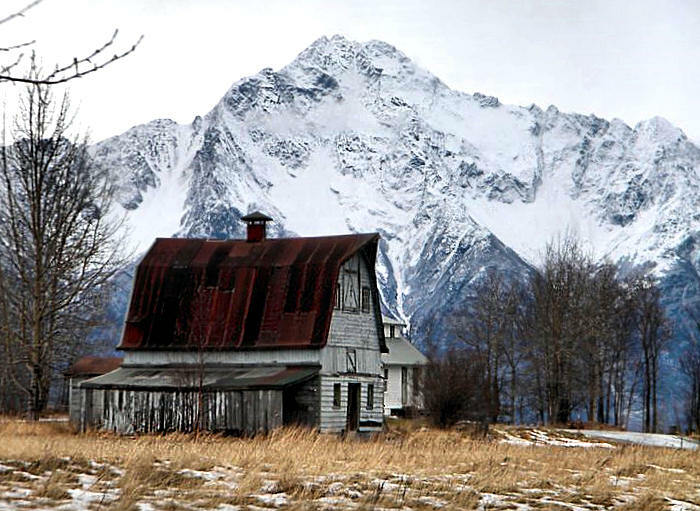 Photo by Stewart Amgwert, Wasilla. 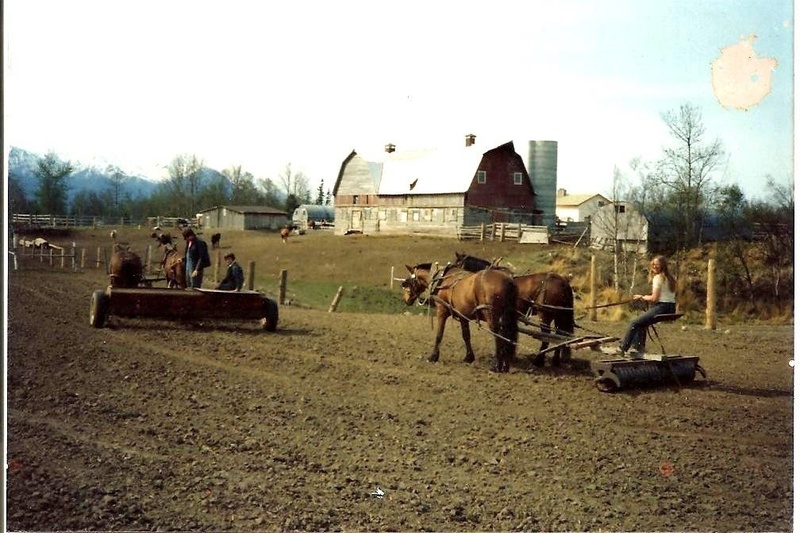 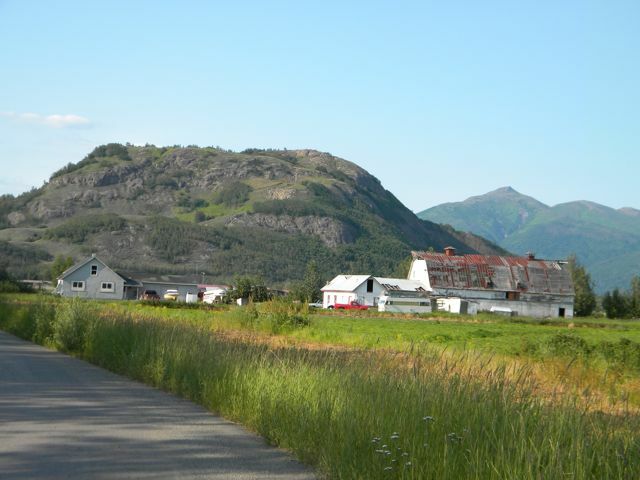 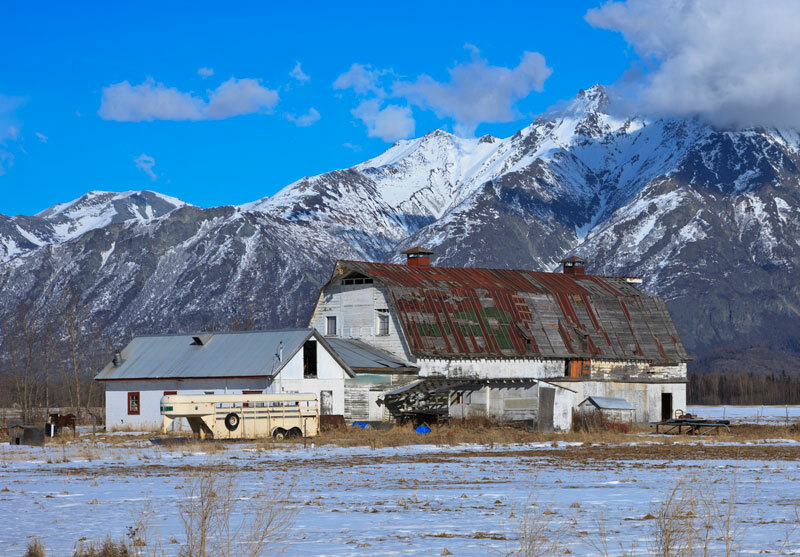 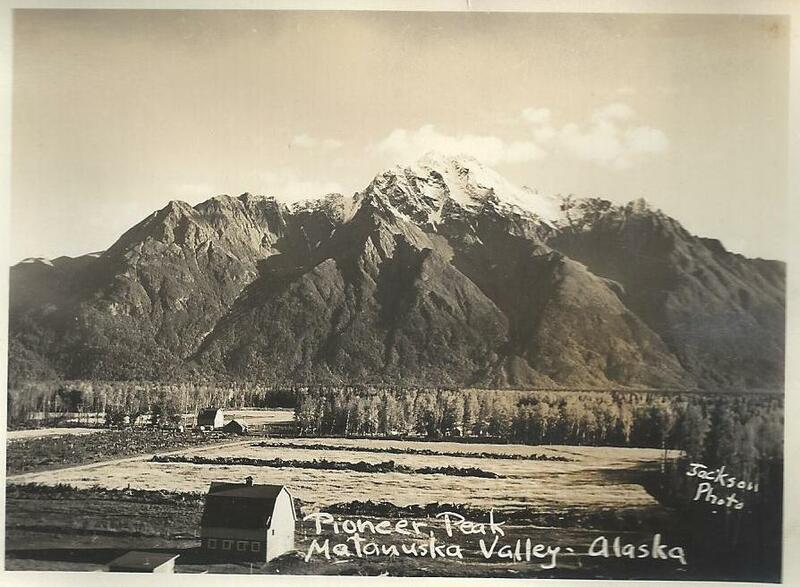 This post is an excerpt from the new book The Matanuska Colony Barns, by Helen Hegener, published by Northern Light Media, May 2013.